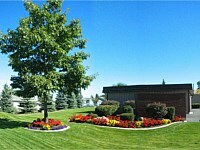 Landscape architecture is also often referred to as landscape design. Although it can be true, but calling it ‘landscape design’ is underrated. Landscape architecture is much more than just designing and aims for a greater goal than just aesthetics. In its broadest sense, landscape architecture is designing an outdoor area, landmark, or structure to improve its aesthetics, social effect and environment. The common landscape design often improves the beauty of an outdoor space, but landscape architecture does more than that. Before drawing the plan, a landscape architect has to survey the area and experience it. Does the area seem isolated? Does it feel irritating? Or does it disturb peace of mind? Landscape architecture aims to improve the overall ‘feel’ of the place. That’s when the architect starts to identify the potential threats that may hinder having the perfect landscape setting. The perfect landscape is defined differently, though. It is the owner of the space who has the authority to dictate how the landscape will appeal to people. It can be a solid ground for displaying a superb artistry or an inviting area for relaxation or peaceful conversation. With a carefully planned landscape architecture, creating a perfect landscape is possible. And it can certainly be achieved because the field itself is multi-disciplinary as it combines ecology, geography, environmental psychology, earth sciences, geology, industrial design, architecture, fine arts, horticulture and botany. There is one thing that separates a landscape architect from a landscape designer - a license. The license assures clients that they are dealing with a professional. It just makes sense to hire a landscape architect than to settle with an inexperienced landscape designer. But more than the license, a good landscape architect must have a great deal of experience in the field. A landscape architect must be able to transform any area, whether residential or commercial, into a more pleasing environment. And that will be attested by their portfolio and list of former and satisfied clients. It’s also a plus if the landscape architect can do more than just designing. He must also have experience in landscape construction and maintenance. This will ensure that whatever he designed will be possible for construction and easy to maintain. 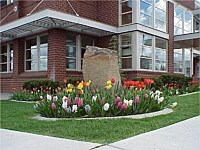 Washington is endowed with creative landscape designers. But what sets us apart from other landscape companies is our in-house landscape architect - Clyde Haase. He has been registered and licensed since 1970. Clyde is also a reliable and active officer of different professional landscaping associations, clubs, and groups in the area. Alongside Clyde is Chris Haase, who has been serving as our vice-president since 1995. Chris is a certified landscape technician and is currently the president of Washington Association of Landscape Professionals. Besides our people, we are also very proud of our numerous awards including the Inland Empire Contractor of the Year and Rainbird Select Contractor Award. Those are what you get with at least 25 years in the business and maintaining a good relationship with every new and repeating client. So when it comes to projects related to landscape architecture in Washington and Idaho areas, Haase Landscape Inc. is clearly the best choice. 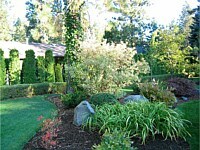 Besides high-end landscape designing, we also offer landscape construction and different landscape-related services. With our expertise, transforming your barren land into an oasis is certainly possible.